NIV Kids Club is a great one. I haven't seen one of those videos in years, but I still have many of the songs retained. Their Colossians 3 video has helped me very, very greatly in the past. Every once in a while I'll make up songs by which to remember the verses, but I never sing them for anyone. ;) Or maybe I'll set it to a tune I already know. We use songs to help us memorize God's Word too. One of our favorites is Seeds Family Worship. Website: http://www.seedsfamilyworship.net/ Their first 5 CDs (Seeds of Courage, Seeds of Faith, Seeds of Praise, Seeds of Purpose, & Power of Encouragement) are NIV 1984. Their latest CD (Seeds of Character) is ESV. Another website to check out: fighterversesongs.com with songs available on CDs in NIV or ESV. He has all of Ephesians avialable in Mp3 format to download free at http://chriselliott.info.tripod.com/id7.html. He has done most of Romans, which can be downloaded from youtube, as well as some other passages. I've used his music to memorize Ephesians and part of Romans, and it takes time to memorize, but once you learn the music it is permanent. Also, it is very pleasant to listen to. I like to put it on as background music to review. I've also spoken with him, and he is very encouraged by knowing people are benefiting from his music. I'm sure he'd love to hear from others who are using it successfully. NB I just did a google search [scripture songs nkjv] and these are the sites that I went to and listened to at least one song. Ok, so this is the only one I had time to listen to, but she has a very beautiful voice and it is word-for-word. Thanks for the great idea, Phil!! Looking forward to hearing of more sites and we should consider leaving comments on these sites so more people know about Memverse. My family uses the Harrow family's recordings at www.singtheword.com. In short, they are high-quality, musically diverse recordings of scripture passages. My family owns six of their CDs and I can say that they are beautiful! The instrumentation is WONDERFUL: many songs are piano-based, with one or more descant instruments, but also a lot of them feature beautiful orchestrations. The earliest CD has the children singing unison or duet, but now they've branched out into three-part harmony at times. It's just one family--the dad is a worship leader and former jazz trumpet instructor, and the mom teaches flute at Eastman School of Music (yes, she's really good--she plays in many of the songs). They homeschool their four children. Mostly it's the two oldest girls who sing, along with the dad. So yeah, their recordings are very high quality and lyrical, and once you sing them you don't forget them! They use a variety of BIble versions--mostly ESV, but also KJV, NASB, and NIV at times. You can buy CDs and audio downloads; we also own some sheet music. There is a great website with well-arranged Scripture songs at www.freebiblemusic.com. Some of them are by Buddy Davis from Answers in Genesis. All of his are in the KJV, but I'm not sure what versions the others use. Since I'm an auditory learner, it really helps me to memorize verses when I listen to them. I LOVE the Seed Family Worship CD's!!! All the verses are in NIV. Never mind, I just realized they have one new CD in ESV! Wow! Thanks for all the links and suggestions. I can't wait to try them!! Keep them coming. Also, don't forget, we would love to hear your original songs for those who wrote some and can put them online. Amy, have you ordered the Fighter Verse songs cd in the NIV? Is so, how? And how good are the songs? Steve Green has some great CD's for Scripture memory. They're designed for kids, but my whole family enjoys them, from my parents and teenage siblings right down to my two-year-old brother (I have siblings of pretty much all ages). I'm fairly sure they're NIV. 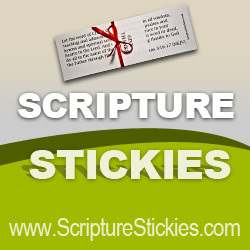 Does any body use the bible Bee musical scriptures? @Hannah Teeters - I definitely do! @Lorewen - I love your profile picture! Is that Mr. or Mrs. Beaver? I think it's Mr. Beaver...:) I'm a Narnia fan...can you tell? Amy, I did get confirmation that though the Fighter verses are available in the original NIV they started in , the songs and all new material are available only in the ESV. Another great free NIV resourse is www.scripturerelease.com which has the first 24 passages from the famous Navigators 60 passage Topical Memory system. BBJ11--So sorry you couldn't make it! I hope you can do it next year. At least you have all those verses retained in your heart now--that fact alone makes it all worthwhile, right? Anyway, I think that only those who were told at their local Bee know what their scores are. They will be released on the Bible Bee website some time on Wednesday. I hope you recover soon! God bless, and keep memorizing! @ RC: Not to my knowledge, we didn't. Our last name is Alexander, but I've never even heard of Barley Max. :D Is it a type of cereal? here is a CD in the King James Version that has the whole Psalm 119 put to music on it. I almost have it memorized! in the past.Steve Green is great too! I highly recommend these CDs! I just found these resources for Scripture songs: http://biblemelody.andyviar.com/ and http://www.scripturerelease.com/. I just went to the website that sells the Psalm 119 KJV put to music, but it looks like it's no longer available. It looks great, though! Sheri, it would be wonderful if we could download it. Also, there is a church in Alaska that sings a lot of Scripture songs, and they do a live video stream at www.biblebaptistfairbanks.com. Our family really enjoys watching the sermons, and we even have a friend that goes to that church.